isaiah knows nothing: Fracted Up! Caught about a third of this mind blowing segment on PBS last night- did anyone else see it? AND, music by David Gilmour! 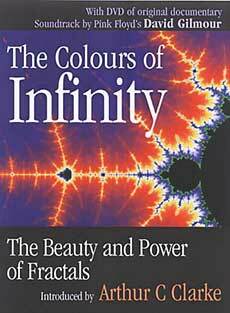 Follow this link for more information on The Colours of Infinity. I didn't see the program, but I just checked Yahoo TV listings. The PBS stations in Atlanta will be showing the program again on Dec. 8th and 13th. I'll set my VCR for it! Do a search of your local TV listings and you might be able to catch it in your area. Awww...I missed it as well. I would LOVE to see this!! !